Stanford has emerged as a serious power on the West Coast over the years, but there was some anxiety around the program entering 2015. The Cardinal were coming off an 8-5 year that ten years ago would have been a major success, but by today's standards, was a disappointment. A season-opening loss to Northwestern where the Cardinal managed just six points seemed to indicate the Stanford program was beginning a fall back to normalcy. Instead, Stanford shattered that thought behind the play of star running back Christian McCaffrey and their experienced defense. A loss late in the year to Oregon killed Stanford's Playoff hopes, but the Cardinal rebounded by winning the Pac-12 and reaching the Rose Bowl. There, McCaffrey showed everyone he probably deserved the Heisman that went elsewhere, shattering the Rose Bowl all-purpose yards record in a victory. While Stanford will be without longtime QB Kevin Hogan and some great defenders in '16, the return of McCaffrey and the disciplined approach they play with keeps them as the favorites in the Pac-12. Backfield: Kevin Hogan was no Andrew Luck, but that doesn't mean his graduation won't hurt. Hogan was a strong, veteran leader that could move the ball down the field, finishing off with 2,867 yards and 27 touchdowns a season ago. The loss of the three-year starter will likely force Stanford to turn to junior Keller Chryst. There were some that thought Chryst may have a chance to usurp Hogan's spot prior to 2015, after Hogan's disappointing '14, because of Chryst's legit talent. 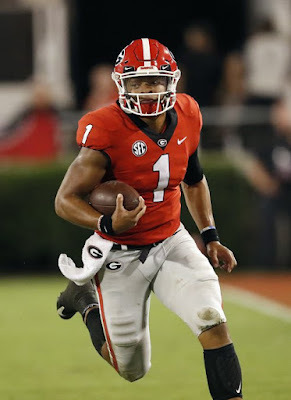 The young quarterback has a good arm and is just as large as Hogan (6'5", 240 pounds). Chryst had only nine passing attempts last season, but has looked good in spring and in practices. Stanford is smart, and they won't force the QB to do too much in his first season as starter. Much of his job this season will be handing the ball off to McCaffrey or hitting him on screens, which will in turn open up the play action game. If Chryst doesn't lock down the position, senior Ryan Burns could possibly get a chance to run the show. Entering his junior season, McCaffrey is my favorite to win the Heisman Award, after he probably should have won it last year, when he broke Barry Sanders' all-purpose yards in a season record. McCaffrey ran for 2,019 yards and eight touchdowns on the ground last season, but also filled up the stat sheet in a variety of other ways. He was actually Stanford's leading receiver a year ago, compiling 45 receptions for 645 yards and five scores. Plus, he has established himself as one of the game's most exciting returners. This season, defenses will obviously focus on McCaffrey, particularly without Hogan's passing ability to threaten them. Even so, the back should still succeed because of his versatility, speed and explosiveness that is nearly impossible to counter. 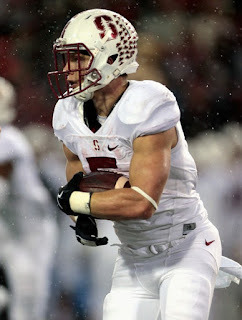 Stanford does use other backs, as a change of pace to McCaffrey or in different situations. Unfortunately, Remound Wright graduated, and Barry Sanders Jr. decided to play his final collegiate season at his dad's alma mater. That leaves sophomore Bryce Love as McCaffrey's only proven backup. Love does have considerable upside, as he ran for 226 yards last season, averaging 7.8 yards per carry. The Cardinal will be very creative on getting him the ball as well. Sophomore Cameron Scarlett has plenty of potential as well, and could find his way on to the field. Stanford leans on their fullbacks more than a lot of other programs, and junior Daniel Marx is as good of a blocker as they come. Receivers: The Cardinal will lose some playmakers at receiver, but it could still be a position of strength for the offense. Big target Devon Cajuste is gone after hauling 27 catches for 383 yards, and tight end Austin Hooper also departs after bringing in 34 for 438 yards and six touchdowns. Those departures may make Stanford less successful in the red zone, but they still have their top receiver returning in senior Michael Rector. Rector is an explosive player, who caught 34 passes for 559 yards and seven scores. He averaged 16.4 yards per reception and constantly made big plays a season ago. Stanford may throw it deep less this season, but Rector will still find a way to make a major impact offensively. Also returning is a familiar face in senior Francis Owusu. Owusu made the Catch of the Year in 2015, pinning a ball to the back of a UCLA defender in the end zone (the description doesn't do it justice, look it up on YouTube). However, he struggled to do much beyond that, with a relatively pedestrian 175 yards receiving. Owusu has a large frame (6'3", 220 pounds) and solid athleticism but struggles with drops and route running have occurred. With less big targets to pass to in '16, Owusu may get more looks and increase his production. Sophomore Trenton Irwin is going to step into an increased role after showing flashes of brilliance last season, when he had 12 receptions for 150 yards. Irwin is extremely explosive and possesses great ball skills; he could have a breakout campaign. Stanford runs a two tight end offense most of the times, and they have produced some quality pass-catchers at the position. Unfortunately, the loss of Hooper leaves them relatively thin at the position. Sophomore Dalton Schultz had 10 receptions for 121 yards last season, but will now step into the No. 1 tight end role. Schultz is youthful, but is a better athlete than Hooper and the Cardinal can use him in different ways. At the other tight end spot, junior Greg Taboada is going to fight a group of incoming freshman, most notably Kaden Smith and underrated Scooter Harrington. Smith is a highly touted four-star pickup that has the chance to be an important playmaker in the Stanford offense. The Cardinal may lose a few pieces in the unit, but the return of Rector, Owusu and rising Irwin should keep it as a strength. Offensive Line: Stanford loves to overpower defenses with their physical offensive line. At times, they will line up with seven or eight blockers and simply run over opposing defenses. In order to do that, they need the right personnel, and they have had some great blockers pass through over the span of the Harbaugh/Shaw era. This season, the Cardinal will have to replace Outland Trophy Winner Joshua Garnett and a pair of other solid blockers, but still retain enough to consider the O-Line a strength. Garnett is an especially tough loss to swallow, as the veteran offensive linemen was drafted 28th overall despite being an offensive guard. All-Pac-12 tackle Kyle Murphy is also gone, along with well-rounded center Graham Shuler. The good news is that the Cardinal do have senior Johnny Caspers back. Caspers, who is going to start at right guard, is an established run blocker that will have to pick up even more slack without Garnett. He will be joined on the right side of the line by junior Casey Tucker, who will play tackle. Tucker has fantastic size and is experienced, after starting all 14 games at the position a season ago. Those two guys give Stanford some proven pieces that can serve as leaders of the rest of the group. The left side of the unit is going to be interesting to watch, as there are some heavy losses but the talent remains. Sophomore David Bright appears to be the favorite to lock down the important role of left tackle. Bright is still young and relatively unproven, but he did see action as a backup last season, and he knows how to play in the Pac-12. At guard, the Cardinal will likely look to redshirt freshman Nick Wilson or junior Brandon Fanaika. Fanaika is slightly more experienced; he received a redshirt in '14, before playing in a small reserve role last year. It is going to be hard to imagine no loss in production without Garnett, but the position should still be strong. At center, Stanford is likely to trot out another guy that was a backup a season ago, and received some playing time. Junior Jesse Burkett has the versatility to play up and down the line, and should be a strong presence in the middle. Overall, the line certainly will have some growing pains without Garnett, Murphy and Shuler but it is as well-coached and as disciplined as they come, it should still be very good. Defensive Line: Technically, Stanford had their worst rush defense in the Shaw era last season, and much of that had to do with a defensive line that wasn't quite as great as in years past. The good news is that it should be improved in '16, even without the services of Aziz Shittu, who departs after recording 10 tackles for loss and four sacks. The Cardinal will lean heavily on junior Solomon Thomas. Unlike a lot of Stanford defenders that typically come in without a lot of hype but improve every single year, Thomas is a big-time recruit, coming in as a five-star prospect a few seasons ago. Thomas, who will start at defensive end, has shown plenty of promise throughout his time with the Cardinal, including his 39 tackles and 7 tackles for loss last season. At 6'3", 275 pounds he has NFL size and a high motor, but is still working on consistency. Blockers may focus on him more this season, but he is a year stronger and more experienced, he should only improve. Up the middle, Stanford has a breakout candidate in junior defensive tackle Harrison Phillips. Phillips is a quality run defender but he isn't the type of linemen to just put his head down and run wildly; he has a good feel for the game and has good mobility for his size. Phillips received a medical redshirt last season, but had nine tackles and two sacks in 2014. Fully healthy, he could have a big season. The other defensive end spot is likely to fall to senior Luke Kaumatule. Kaumatule doesn't have the athleticism or raw talent of Thomas, but is a decent run defender that can get after the quarterback when needed. Shaw and staff brought in a number of newcomers that could compete for playing time right away. Most notably is defensive tackle Michael Williams out of Forth Worth, Texas, along with three-star Bo Peek from over in Tampa, Florida. With more depth and a healthy Phillips making plays up the middle, Stanford's weakened rush defense and pass rush from '15 should improve quite a bit this season. Linebackers: Part of the blame for the weakened rush defense in 2015 was the linebacker corps, although the group was very good for much of last season. They will be without their leader in Blake Martinez, who graduated after recording a whopping 141 tackles last season, but others should step up. Martinez was an excellent inside linebacker and his range and coverage abilities were impressive. The Cardinal are hoping that senior Kevin Palma can take over some of his production this season after Palma had 44 tackles in '15. Palma doesn't quite have the experience of Martinez, but is a little bit more athletic and quick, which should work out well. The other returning starter in the unit is going to be senior Peter Kalambayi. 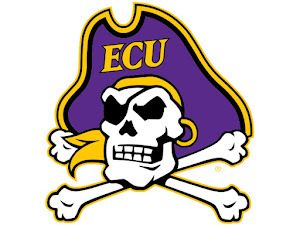 Kalambayi will settle in at outside linebacker, where he will get after the quarterback. Kalambayi has good size and a nose for the ball, which helped him pick up 4.5 sacks a season ago. Stanford will hope that he can increase that number this year, while also helping out in run support. Without Martinez, there are a number of linebackers competing for the inside linebacker slot next to Palma. Junior Jordan Perez and fifth-year senior Noor Davis are the favorites to lock down the starting gig. Perez has plenty of potential, as he has good athleticism and power that he can use in a number of ways. Davis has struggled with injuries and has played in a reserve role since 2013. He has a great understanding of Stanford's defense and showed he could make plays last season, with 11 tackles. The other position battle that will have to be figured out is at the other outside linebacker spot, where Kevin Anderson left as he graduated. Junior Joey Alfieri has a great chance considering the position does not have great depth. Alfieri is a very talented 'backer, as evidenced by his 40 tackles, 3.5 sacks and five quarterback hurries in 2015. Much like Kalambayi, Stanford would love for him to be a more dynamic pass rusher, but helping out in run support will also be key for the veteran. 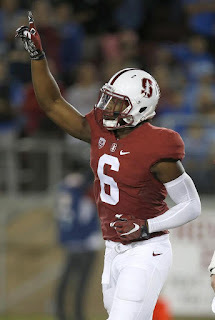 Secondary: Youth was extremely prevalent in Stanford's secondary last year and despite it, the Cardinal still defended the pass very well in a conference known for throwing the ball all over the field. The good news is that the youth last season is now a year older in 2016, and the secondary should be a major strength. Junior Alijah Holder is maybe the most important returnee, as he should lock down the No. 1 cornerback spot. Holder had some ups-and-downs last year, but still put together a season in which he had 37 tackles and seven pass deflections. Holder is a wonderful athlete with great agility and closing speed. He very well put together an All-Pac-12 campaign with some more action under his belt. He will be joined at cornerback by sophomore Quenton Meeks, who was terrific in his true freshman season. Meeks had 34 tackles assisting in run support, while also showcasing excellent ball skills, picking off three passes. He isn't quite the shutdown corner that Holder is or has the potential to be, but he is a playmaker and should play a pivotal role. At safety, Stanford has another possible star back in senior Dallas Lloyd. Lloyd was Stanford's No. 3 tackler last season, racking up 55 of them. He is set to start at strong safety, where he will once more have to cover a wide range and make plays. He hopes to improve as a coverage option, where was only average a year ago. The Cardinal will be without talented free safety Kodi Whitfield, who leaves after recording 53 tackles and an interception. That leaves the position less experienced, but either sophomore Justin Reid or senior Zach Hoffpauir should excel. Reid has good length and upside, while Hoffpauir still has plenty of experience, but may experience some rust as he took all of last season off for minor league baseball. There is a decent amount of depth in the unit, highlighted by junior corner Terrence Alexander, who will play an increased role after the departure of rock-solid Ronnie Harris, who had 12 starts at the position in '15. Special Teams: Special teams will almost certainly be a strength for the Cardinal. Senior kicker Conrad Ukropina was 18-20 on field goals last season, while punter Alex Robinson is also back. Expect Christian McCaffrey to put on a show in the return game, after he took a kick return and punt return to the house last year. Stanford proved 2014 was merely an aberration by winning 12 games and the conference last season. But, as the Cardinal keep on consistently winning double-digit games and making big-time bowls, pressure continues to mount. Stanford hasn't won a National Title nor made a Playoff appearance yet, despite playing in a pair of Rose Bowls. Those things may not be out of the picture this season, thanks in large part to McCaffrey, who will absolutely shred defenses all year long. However, Stanford is going to need more than just him to really get over the top. Chryst will have to step up at quarterback, the receivers will have to play well and the rush defense will need to improve. The Cardinal will have a tough road, considering they play Oregon, Notre Dame and Washington all away from home. Even though that is daunting, don't overlook the Cardinal. If things go as planned, this team very well could win the Pac-12 for the second straight year and be up for higher honors.